Taking Service Above Self and Fellowship to new heights! 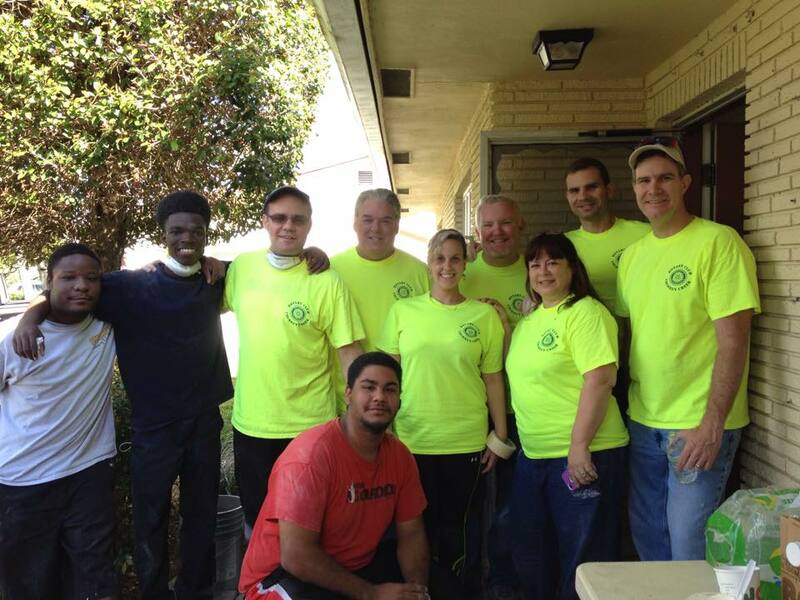 We’ve been hard at work putting our sweat and contacts to work renovating the 4Kids house. This house is for foster kids who have aged out of the system at 18. 4Kids provides this home for them as well as training in the basics of taking care of themselves like how to interview for a job, shop and prepare food, manage money, etc.. The “soft landing” from the foster child system helps these young adults get on their feet and sets them up for success. 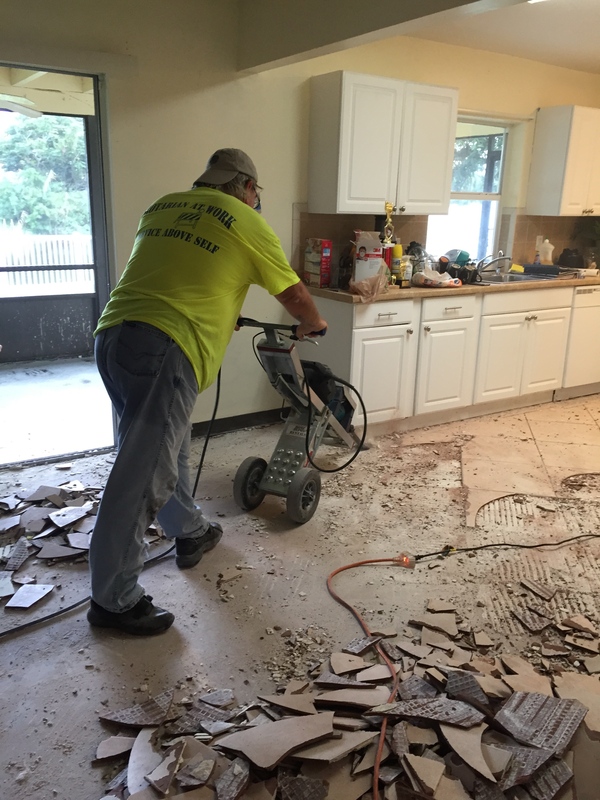 We removed the old tile, taped and sanded to prepare for painting, demolished the old bathroom vanities, installed ceiling fans and brought in a painter. A big thank you goes out to Keith Warner, of Warner Painting. 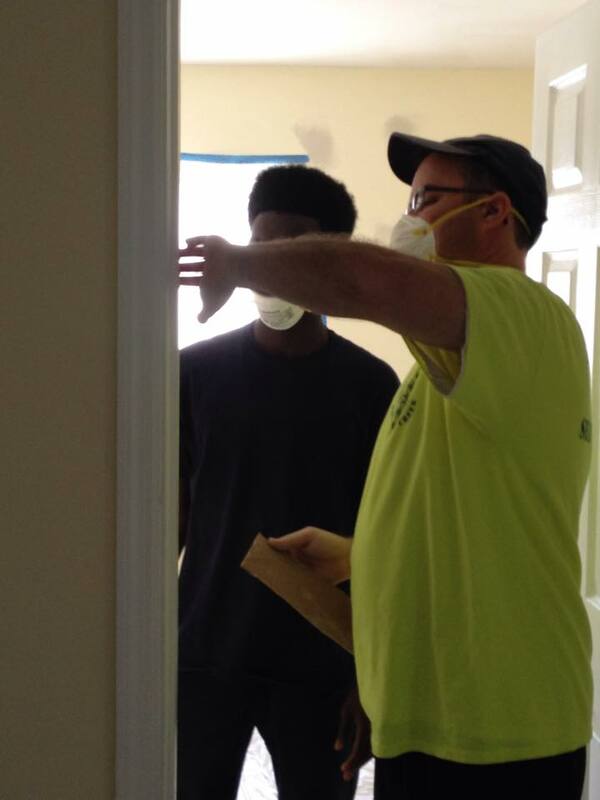 He not only donated his time to paint the entire 4Kids house, but he also supplied the paint ! Thank you also to Brad Ballenger, of Sawgrass Electric who donated six brand new ceiling fans. Please support these civic-minded businesses in your community!